Using Al-contained Li6.75La3Zr1.75Ta0.25O12 (LLZTO) with high conductivity as electrolyte, we design and prepare a kind of monolithic-sintered LLZTO pellets with a novel porous-dense bilayer configuration, which integrates a dense LLZTO layer together with a porous LLZTO layer. Such bilayered configuration LLZTO is tested for all-solid-state lithium batteries. LiCoO2 as cathode active material is infiltrated into the porous electrolyte layer by sol-gel method, and lithium metal is used as anode and its interfacial contact with the dense electrolyte layer is optimized by tuning the surface roughness of the electrolyte. Moreover, a prototype all-solid-state lithium-oxygen battery is also assembled by introducing carbon and silver into the porous electrolyte layer as electronic conductive component in the air electrode and by contacting lithium metal with the dense electrolyte layer as anode. The cycle performances of both prototype batteries are tested to evaluate the function and limitations of the bilayer-structured oxide electrolyte. 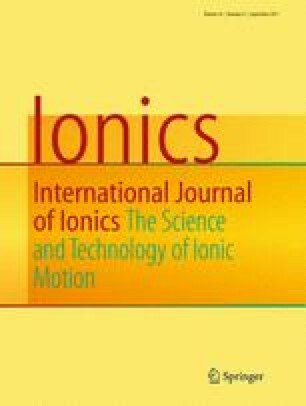 The online version of this article (doi: 10.1007/s11581-017-2224-5) contains supplementary material, which is available to authorized users. This work was supported by the NSF of China (grant no. 51532002 and 51625202). ESM 1 (PDF 221 kb).